Try using a paper pulp litter. Hay will always have a smell - or at least it should. There's no way to get rid of the smell of the hay. Store your hay in a cool, dry place that's out of reach of your nose. You might try the laundry room. Try litter box training. This will help keep the odors in one place and allow for easier ongoing cleanup. 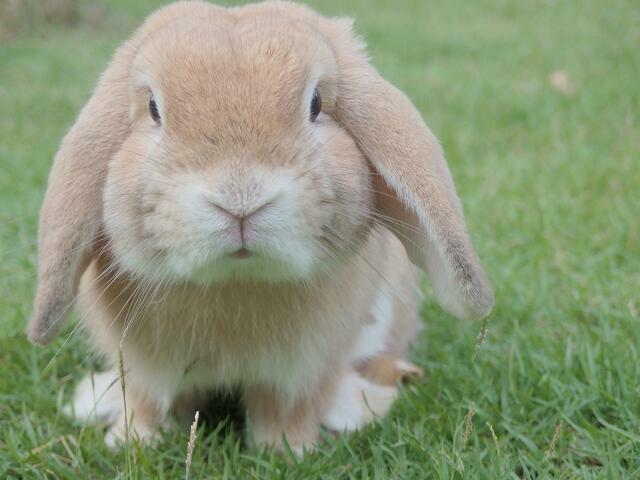 It will also train the rabbit to “hold it" rather than being an ongoing poop/pee machine. Use a mild air freshener or deodorizer. Looking for something natural? When you clean the cage, make sure to clean all of the surfaces really, really well. Ammonia can build up on surfaces and crystallize causing an almost untreatable odor. Balance pH in your rabbit with a drop of apple cider vinegar in your rabbit's water (1 drop per 8 ounces). This helps keep the pH in balance and reduce the strong scent in the urine. Cut out fruit and any processed treats from your rabbit's diet. Instead, replace those foods with hay. Yes, it sounds cliche since we sell hay, but rabbit diets should be high in hay to keep them healthy and all their processes working correctly. Cardboard toys can harbor smells because they can't be cleaned. If your bun likes them, make sure to dispose of them regularly and replace with fresh toys. Follow these simple steps and you'll keep your nose and your bun happy. Try them out and let us know what you think! Got other ideas for helping cut down on odors? Leave us a comment.